Last year some time, I heard someone, somewhere, talking about table basting. Table what-ing?? I was sold before I even knew what it meant! 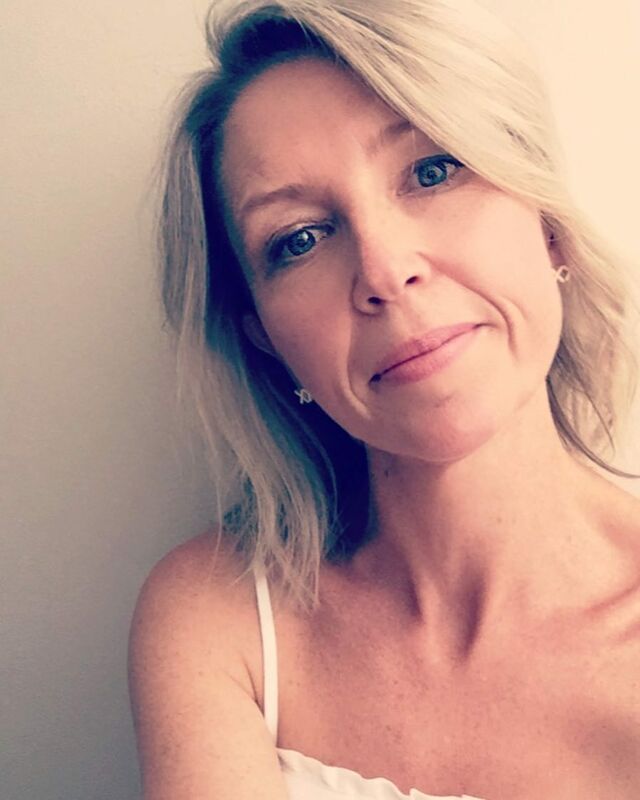 I’d spent forever crawling around my lounge room floor, or tiled kitchen floor, basting my quilts – and my knees had had enough! I’m hearing a collective “ahuh” from you all right now aren’t I? Since that lightbulb moment, I have somewhat perfected the process, and now enjoy basting don’t hate it quite as much, and revel in my smooth quilt backs! I have repeated this process to numerous friends, who are all enjoying basting success also, so thought I’d share it with you all! 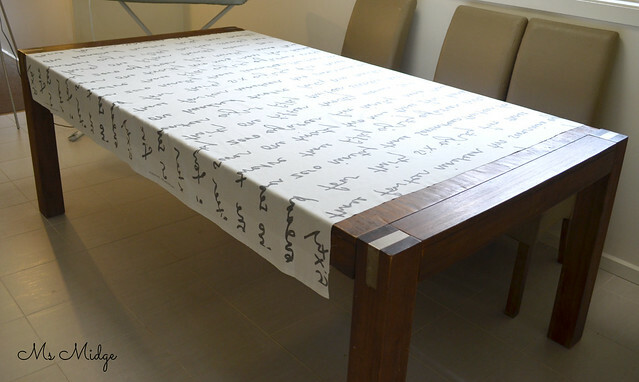 Now – the first rule is – you do not have to have a 10 seater dining table as I do!!! 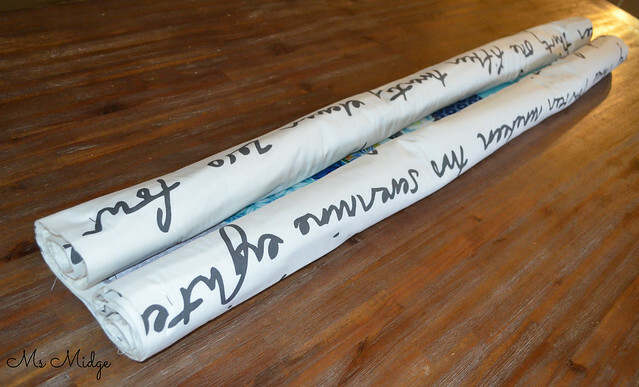 Baste your quilt on the table you have, and follow the same instructions. Having a smaller table just means you will have more overhang on the sides and possibly – ends of your table. The second rule is…… Well, there is no second rule. 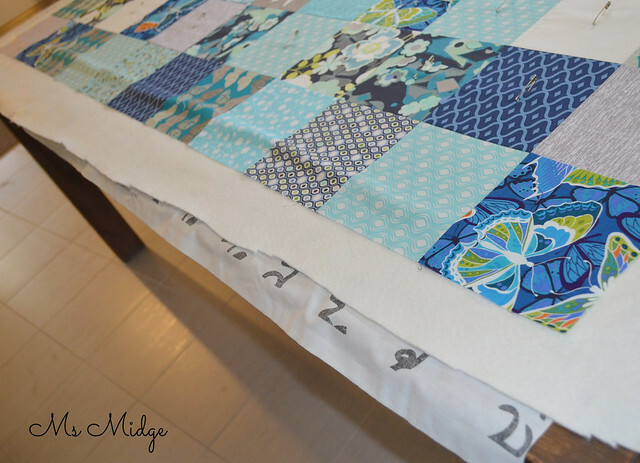 Let’s go…..
First step is to iron your quilt back to within an inch of its life. Make sure that baby is silky smooth without a crease in sight. Take said quilt back and lay it on your table. You want to have it centred as much as possible ie. the same amount of overhang on all sides. Then go and rummage through your kids art & craft supplies (or your own) and find your self some sticky tape (or cellotape – whatever it’s called wherever you are!). 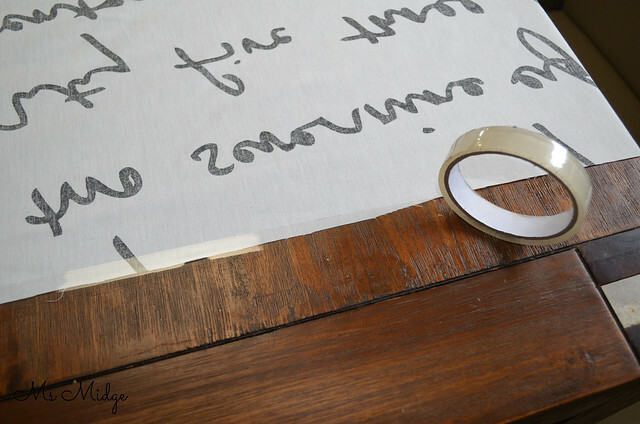 You can use any tape at all – so if gaffa tape is all you have – make it work. You want to tape both ends down to your tape. Making sure you keep your smoothness intact! 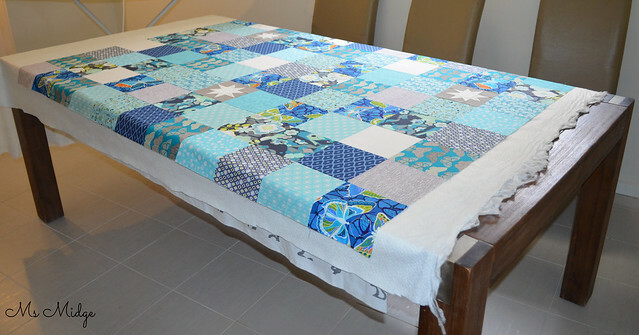 If you have a really small table and a really big quilt, you’re going to have to get inventive! I’ve had others say they use bulldog clips etc. So think about what you have handy that’s going to keep that quilt back in place! Once you have secured your quilt back, it’s time to layer up. Lay your batting on top, using the same technique – centre it over your quilt back, with the same amount of overhang. Then smooth it all out, from the centre outwards. Same same again with your quilt top. Iron it super smooth, then pop it over the top! It’s really important you follow the same theory as any basting process – and smooth it from the centre out. This way you will end up with a straight quilt top! I have been known to sometimes iron the quilt top once it’s on top of the quilt sandwich – if it’s been creased considerably in the putting on top of everything process. Now it’s time to baste. I baste from the centre outwards – which is what I learnt through all my online learning. Use as many pins as you think your quilt warrants – but remembering the more pins the safer you’re going to be! 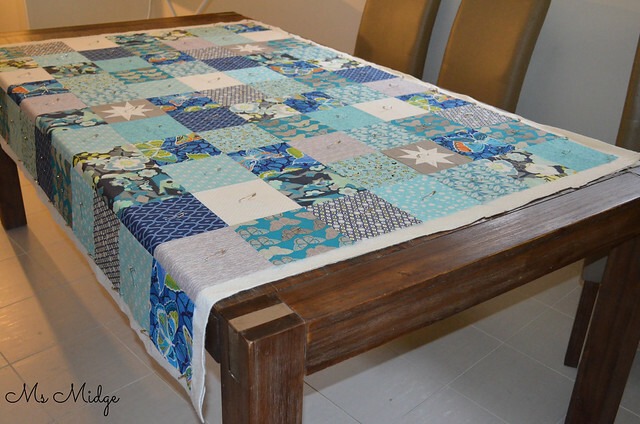 Once you’ve pinned all of the quilt top that is on top of your table, it’s time to move on to the overhanging sections….. You need to remove your sticky tape for this to happen! 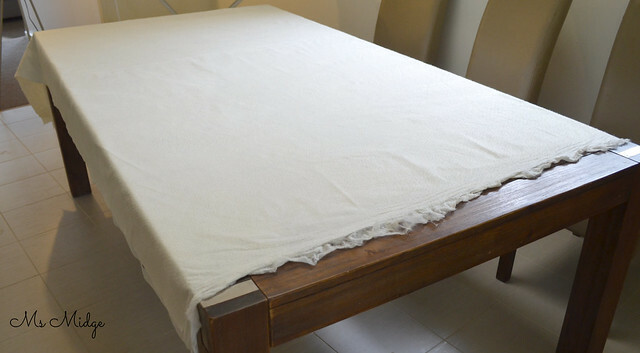 You want to go to the side of your table and with both hands, gently pull your quilt over to one side, revealing the overhang on the other side. You will see in the photo above that you have a big kink in the quilt sandwich? You now have to smooth that outwards and repeat all the other steps to baste that section. Repeat again, by pulling the quilt over to the other side, which will reveal your last remaining section. Baste – AND YOU’RE DONE! Once I have basted my quilt, I then roll it up ready for quilting and it usually sits on top of the lounge in the back room. Or if I’m really keen, I’ll then set my machine up on the dining table and quilt it then and there! I really hope you’ve found this helpful! I’ve seen/heard of tutorials for table basting which includes using lengths of timber (?!??!) but I’m a huge fan of keeping things as simple as possible, with as little props as possible. I think this method demonstrates that! If you have any questions at all, feel free to fire away! As I said earlier in this post – I have never had a problem with my quilting using this method – no puckering, bunching up or folds in the back. If it works for me, I’m guessing it could work for you! 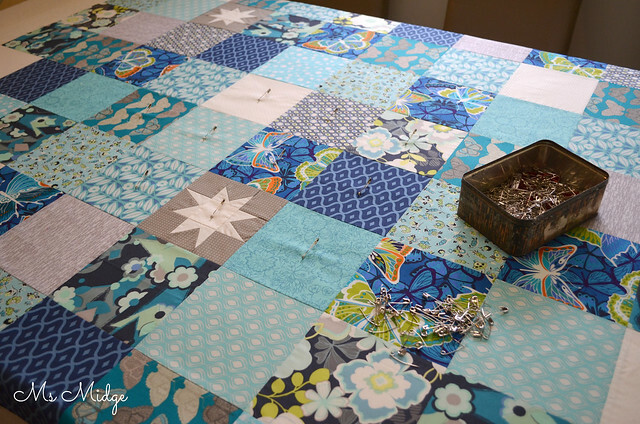 Consider using blue painter’s tape to secure the quilt backing as it will not damage your table and holds very well. Great tip – thanks Darlene! Hey Taren! Would you believe I never noticed it until I’d been basting this way for a year or so? I’m lucky I guess that our big dining table is a “rustic” look, so the pin holes don’t get noticed 😉 Whoops!